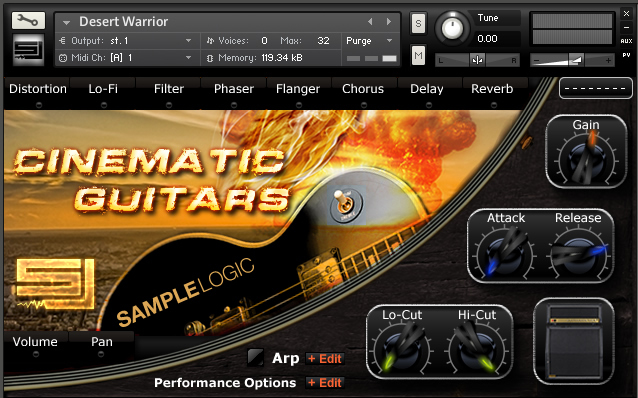 Sample Logic's award-winning team presents a powerful collection of morphed guitar instruments harnessed in a remarkably adaptable "core effects sequencer" engine powered by the Native Instruments Kontakt Player. Derived entirely from true electric and acoustic guitar recordings by guitar guru Steve Ouimette (known for his work on the Guitar Hero franchise) this library is not a traditional guitar sample library, rather, it is an extensive collection of atmospheres, instrumentals, and percussives unlike any ever heard before. 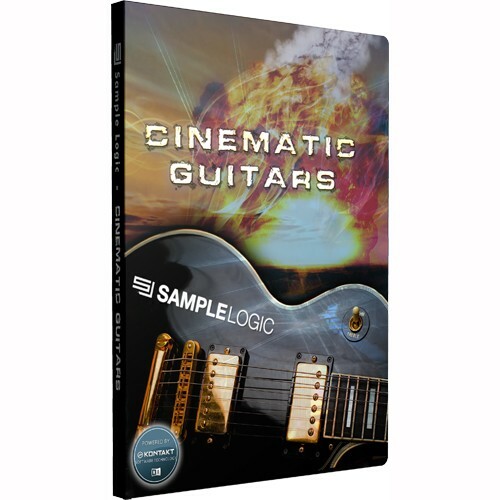 Taking it one step further, Cinematic Guitars gives users the power to create and manipulate custom instruments using the first ever "core effects sequencer" designed by Sample Logic and built into the Kontakt engine.